LendingTree matches borrowers with multiple lenders, but should you use the service? Read our review to learn how the company works and if it is right for you. LendingTree connects potential borrowers with lenders online. The easy process can help you find a loan but may also come with a high volume of phone calls from lenders. Keep reading to find out more about the company, loan application process, and what consumers have to say. LendingTree was created by Doug Ledba in the late 1990s to provide consumers with an easy-to-use way of learning about potential loans, all from the comfort of their home. Today, it still aims to eliminate the tiring process of going from bank to bank and lender-to-lender to find the best deal. By making lenders compete for business, LendingTree is able to offer its customers a choice between multiple loan offers and switch the position of power from lender to borrower. You can explore loan options on LendingTree after filling out a form with your personal information. LendingTree matches you with four or five potential lenders that its algorithms think are the best match for you. The information isn’t only used in the algorithm though. LendingTree has over 500 lending partners including Capital One, North American Savings Bank, Citizens Bank, and many more. These partners pay LendingTree a fee to access your information. If you wish to learn more about the lenders, a full list can be found on their lender reviews page. In addition to mortgages and refinancing, borrowers interested in personal, auto, student, or business loans can explore their options on LendingTree. To use their services you simply need to create an account and answer a series of questions like “What type of loan do you need?” and “What city are you in?” Then the company's algorithms get to work matching you with potential lenders. The website contains a number of educational resources to help you learn more about loans, lenders, repayment terms, and anything else you may not be completely comfortable with. The company also provides a phone number (1-800-813-4620) if you need help or would prefer not to enter personal information online. In order to protect its borrowers, LendingTree vets each lender and runs them against an anti-fraud database to ensure there are no reports or red flags. The company promises to only share the information with the relevant service providers: LendingTree businesses, lenders or matching service providers; real estate agents, brokers, and real estate companies; referrals for your non-mortgage business; and services providers. Again, LendingTree does sell your personal information to potential lender. How your personal data is used will then be determined by those potential lenders. LendingTree scores high marks for providing effective customer service and ways to contact the company. Customers leaving reviews on Consumer Affairs tend to be satisfied with LendingTree's ease of use, the convenience, and the finance choice options. The customer service also stands out as a strong point for the company, resulting in an overall positive experience for the vast majority of visitors. The major complaint about LendingTree from most users was the overwhelming number of phone calls and emails they received after signing up for the service. Borrowers may find a lender to work with quickly, but will still receive competing offers for months after submitting. This is likely because once you connect with a lender, LendingTree is no longer your point of contact. Users received multiple calls from multiple institutions in the period from immediately after sign up to long after they had deactivated their account. Others complained that certain personal information was distributed that they did not want shared, but later discovered that it had been spread anyway. 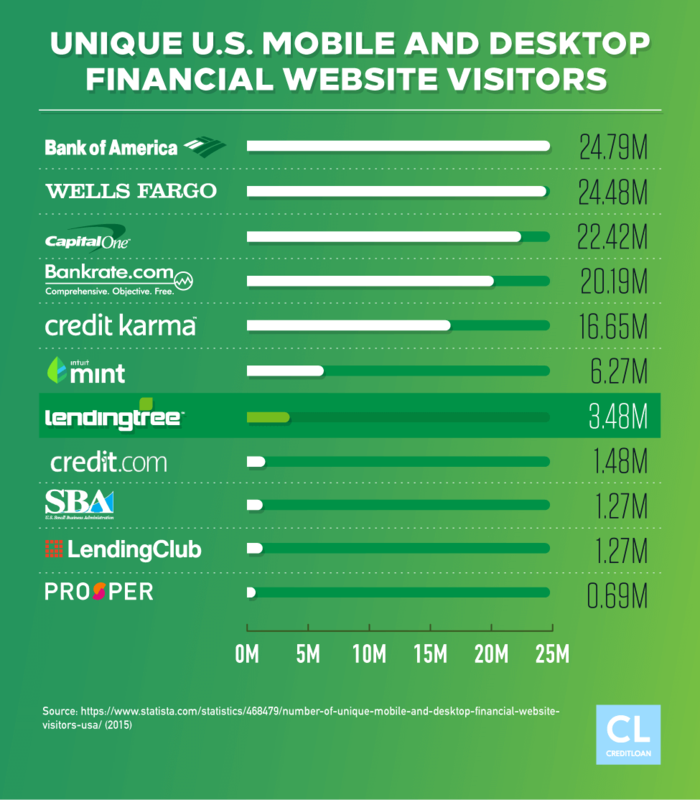 Does LendingTree vet the lenders that they work with? Once I have been approved by a lender, do I still have time to change my mind and go with someone else? Yes. You are not obligated. You can change your mind and go with another lender. How safe is my information that I have provided to LendingTree? LendingTree is secured, but you will receive offers from many lenders that your information was sold to. 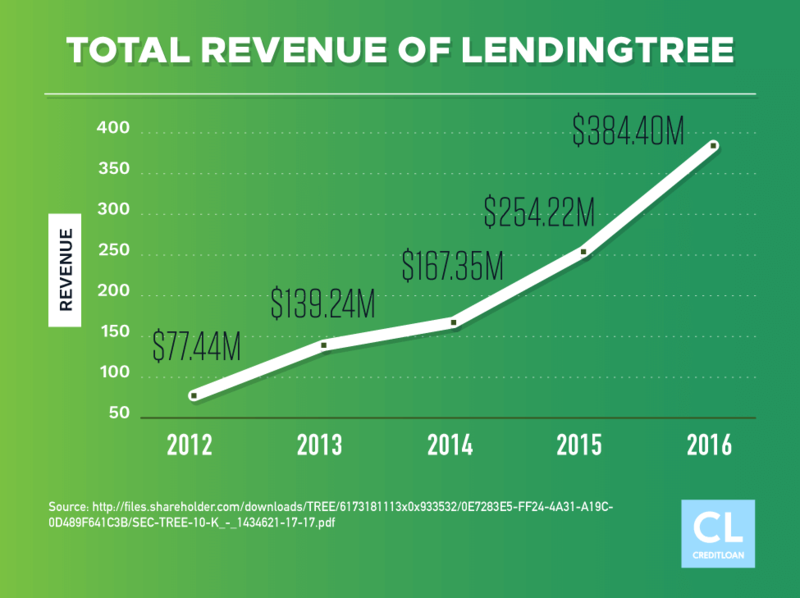 How does LendingTree make money if the services are free to use? Lenders pay LendingTree for your business. What happens if a lender that I was connected to via LendingTree turns out to be a scam? You should start by contacting LendingTree and they will guide you through the necessary steps. If a blip shows up on your credit report, you should dispute the error. LendingTree is an undeniable useful online loan marketplace, but there are downsides. No one likes unsolicited phone calls, especially those that don't stop when you ask them to. That said, the ability to receive multiple loan offers from various lending institutions without ever leaving the house can't be overstated, especially when you can apply for those same loans straight from your phone. Would we recommend LendingTree? Under the right circumstances, for the right situations. While most people are likely to go to known lending institutions for a loan, sometimes that doesn't work. When that happens, try LendingTree. The service puts you in touch with multiple lenders and multiple loan offers with a secure, safe service that's been vetted by thousands of customers in the past.